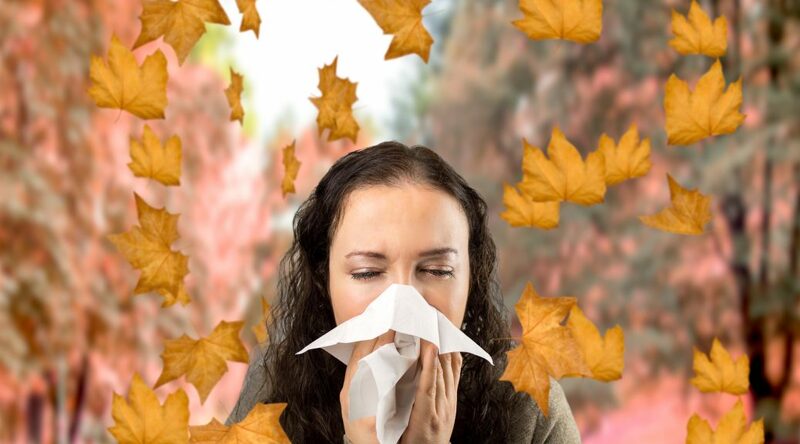 With fall firmly upon us, you might be one of the millions who’ve felt the effects of seasonal allergies. You know the typical symptoms: runny nose, itchy eyes, scratchy throat, the mild fatigue. But while these are pretty typical for people with allergies, they’re also some of the same symptoms of people who have a virus – which, unlike allergies, is contagious. So how can you tell what’s causing your symptoms? With medical costs continuing to increase, some people are hesitant to schedule a trip to the doctor’s office if they feel like they’ve just got a case of allergy sniffles. But while the symptoms are similar, doctors encourage patients to pay close attention to their own body, as some viral symptoms are more serious than allergies. “A cold or a cold virus affects the rest of the body as well and so frequently you’ll have some muscle aches and pains,” Dr. Rohr-Kirchgraber told Fox59. People with compromised or weakened immune systems, the elderly and especially children are most at risk for allergy-mimicking viruses. Also of concern is venturing out in public, thinking you have allergies, when you’re actually contagious with a virus. This is why colder months tend to be associated the most with sickness: we stay indoors more, where air and germs recirculate easily, and interact more with each other, putting ourselves in closer proximity to sickness. So what can you do if you think your symptoms go beyond typical fall allergies? “Allergies come because of the environment, because of plants, because of your exposure. You can’t give an allergy symptom to somebody else, but you can certainly pass on a cold virus,” warned Dr. Rohr-Kirchgraber.